Horses at Maverick Medicine Herd Management Area. BLM 2011 file photo. 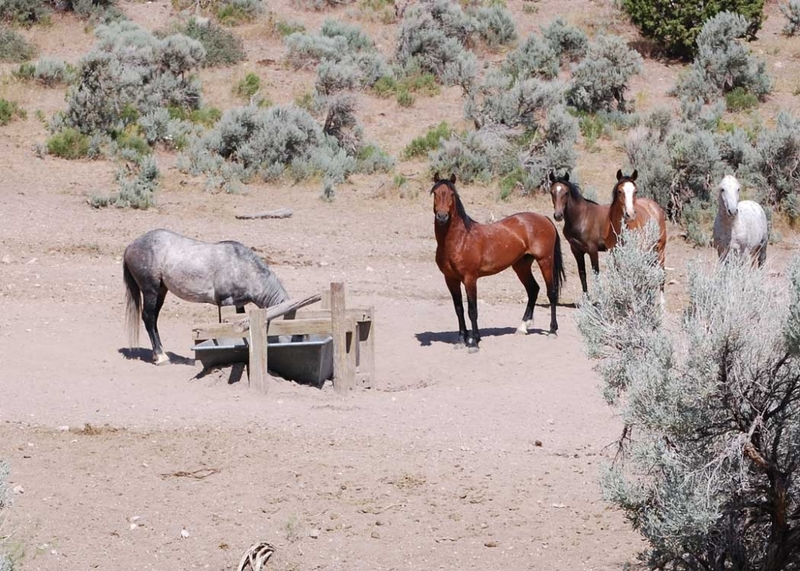 ELKO, NEVADA – The Bureau of Land Management will begin an emergency wild horse gather on Monday with placement of corrals near the Cherry Spring area located in Maverick-Medicine Herd Management Area. Cherry Spring is approximately 60 miles southeast of Elko. The wild horses are in an area with declining critical water sources. Removing them will prevent further resource degradation and allow the range to recover from wild horse impacts, the BLM stated. The Maverick-Medicine HMA has an Authorized Management Level of 166-276 wild horses but the estimated population is 1,051, not including this year’s foal crop. Approximately 60 horses are currently using Cherry Spring based on recent monitoring of the area. The BLM plans to gather and remove them utilizing the water and bait method, consisting of a series of corral panels stocked with water and hay; no helicopters will be used. The contractor for this gather is Sampson Livestock of Utah. Excess wild horses removed from the range will be transported to the Palomino Valley Center, north of Reno, to be prepared for the BLM wild horse adoption program or for long-term pastures. The emergency gather is expected to last one month. A Gather Information Hotline has been established at 775-861-6700.